This is the new generation of crown and bridge porcelain restorations. These crowns are milled from solid blocks of zirconia and are sintered over 1500 degrees celsius and are near unbreakable. 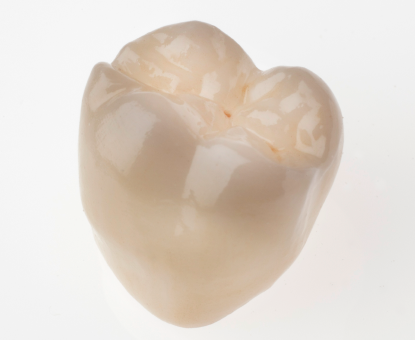 Designed using state of the art CAD/CAM technology the 100% monolithic zirconia crown offers a great alternative to that of posterior PFM, laminated zirconia and gold crowns. They require limited preparation design whilst still providing a more aesthetic pleasing result. 100% monolithic zirconia is Andent's choice for posterior restorations.